A 23-year- old factory worker, Emmanuel Osang, who allegedly beat up his co-tenant to a pulp during an argument, has appeared before an Ikeja Chief Magistrates’ Court. The police on Wednesday charged the accused, who resides at No. 6, Olajide St., Aboru, Iyana Ipaja, Lagos State, with assault and damage. The accused, however, denied committing the offences. The Police Prosecutor, Inspector Victor Eruada, said that the accused allegedly beat up one Miss Dorcas Abraham during an argument. Eruada alleged that Osang punched and slapped Abraham many times; inflicting injuries on her ear, and in the process, willfully damaged her Techno phone valued N20,000. He said that the accused committed the offence on February 8 at 6 a.m. at their residence. The News Agency of Nigeria reports that assault and damage contravene Sections 173 and 350 of the revised Criminal Law of Lagos State, 2015. Section 173 stipulates a three-year jail term for any offender if found guilty. Magistrate M. I. Dan-Oni granted the accused bail in the sum of N50,000 with one surety in like sum. 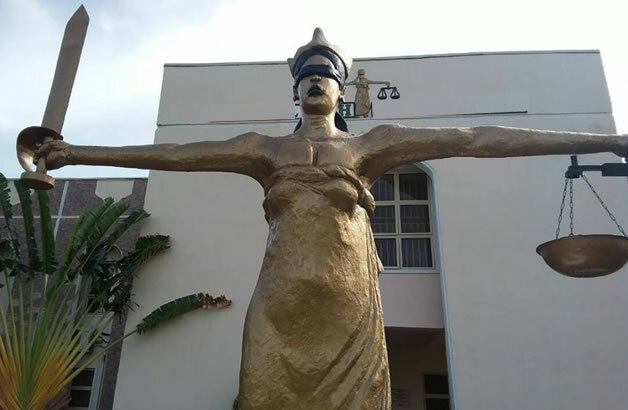 Dan-Oni ordered that the surety must be gainfully employed and should show evidence of two years’ tax payment to the Lagos State Government. The magistrate adjourned the case until March 11 for mention.